framework for the overall coaching experience. For each of our clients, we determine whether it would be beneficial to use certain structured tools at strategic points in the coaching process—for example as an assessment/benchmarking aid or even to provide a framework for the overall coaching experience. We use three tools that have proven to be extremely effective. In the right circumstances and with the right oversight, they can be powerful catalysts for organizational change and leadership development. There are hidden laws of business that CEOs are innocently unaware of that could force the company down a treacherous path. Organizational research conducted by James Fischer in a six-year study with over 650 firms and their CEOs, provides insight into how companies with 10-500+ employees grow. 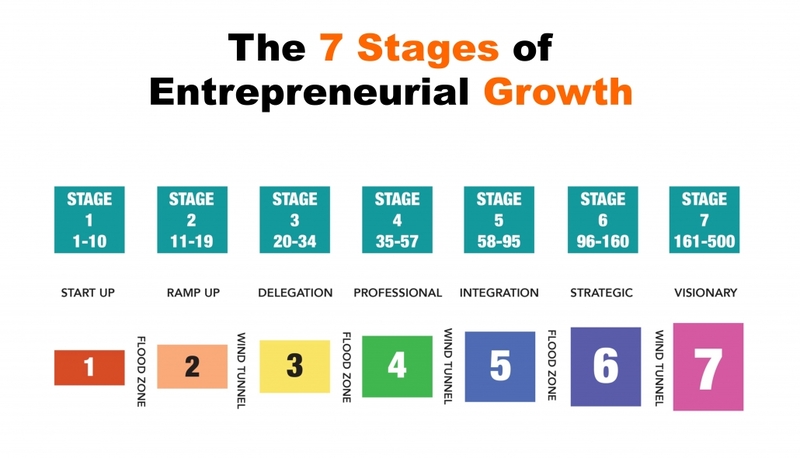 Strong evidence shows that entrepreneurial firms proceed through seven definitive stages of growth which inherently exhibit separate unique sets of rules for survival at each stage of growth. Operate within those rules and the odds are in your favor. Operate outside those rules and the odds move against you. Stages of Growth X-Ray is an excellent tool for diagnosing fundamental challenges of growth and then aligning the organization to address and move past those challenges. The assessment process pinpoints concrete, actionable issues that a CEO or leadership team must address. Best Year Yet is a team-oriented coaching program that takes a group through the process of strategic planning to the point of generating results from that plan. The system relies on guided facilitation that generates collaboration between teams and their leaders while addressing mindset and behavior issues that arise along the way. It’s a conversation-based tool that pulls in and values all team members as they create consensus and buy-in for detailed team action plans. 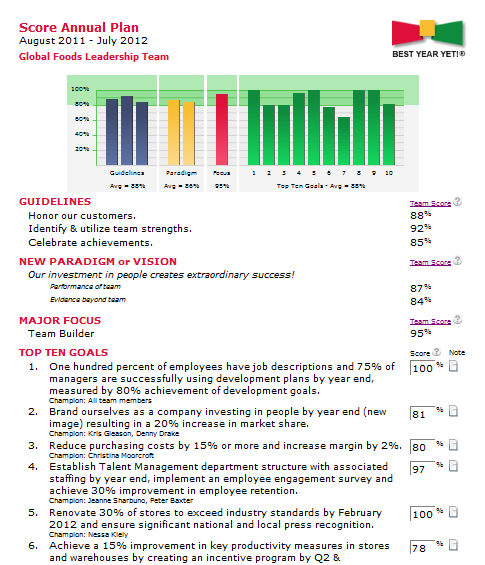 The result is a transformed culture, personal engagement, leveraged talent, collaboration among leaders and team members, detailed action plans to achieve real results, and a process that sets the groundwork for continued improvements and success year after year.